Firm irrevocable supply orders should be in place. The contract with the overseas party /buyer should be vetted and clearly specify the nature, amount and delivery timelines of products over the years and penalty in case of non-performance or contract cancellation. Product pricing should be in consonance with prevailing international prices. Authorised Dealer bank should ensure compliance with AML / KYC guidelines and also undertake due diligence for the overseas buyer so as to ensure it has good standing / sound track record. Receipt of such advance of USD 100 million or more should be immediately reported to the Trade Division, Foreign Exchange Department, Reserve Bank of India, Central Office, 5th Floor, Amar Building, Mumbai under copy to the concerned Regional Office of the Reserve Bank of India as per the format given in Annex – I. Issuance of BG / SBLC, being a non-funded exposure, should be rigorously evaluated as any other credit proposal keeping in view,among others, prudential requirements based on board approved policy.Such facility will be extended only for guaranteeing export performance. BG / SBLC may be issued for a term not exceeding two years at a time and further rollover of not more than two years at a time may be allowed subject to satisfaction with relative export performance as per the contract. 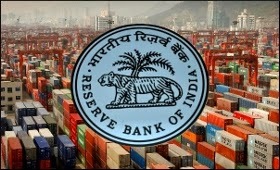 Authorised Dealer bank should duly evaluate and monitor the progress made by the exporter on utilisation of the advance and submit an Annual Progress Report to the Trade Division, Foreign Exchange Department, Reserve Bank of India, Central Office, 5th Floor, Amar Building, Mumbai under copy to the concerned Regional Office of the Reserve Bank of India in format as per Annex - II within a month from the close of each financial year. 4.AD Category - I banks may bring the contents of this circular to the notice of their constituents and customers concerned. approvals, if any, required under any law. Great Article. ideas . I was enlightened by the analysis , Does someone know if I might be able to acquire a template 1993 DA 31 copy to fill out ?